Learn Why 2019 is a Great Year to Go Solar! 2019 is the last year of the full 30% federal solar tax credit where you can save, for example, $3,000 on a $10,000 solar system. In 2020, it will be reduced to 26%, then 22% in 2021, etc. Businesses get an extra tax boost from accelerated depreciation of new installations. Electric rates keep going up while the price of solar keeps falling. On January 1, 2019, due largely to natural gas price increases, the energy portion of electric bills for residents and most small businesses jumped nearly 16% … and now the Maine Public Utilities Commission is considering a plan to boost distribution rates by 19% this year! While solar panel prices continue to fall despite tariffs, the panels themselves are more efficient than ever - generating more power per square foot. Finally, Maine’s new administration and legislature are working quickly to eliminate gross metering and other solar disincentives put in place over the past two years by the Lepage administration. All of this adds up to a faster return on investment than ever. Learn more about our recommended solar vendors below and request a site visit early to ensure project completion this year. Here is our list of three excellent vendors who offer free solar consultations for your home or business. Don't have a sunny site? Contact us about investing in a Community Solar Farm where your panels would be located. 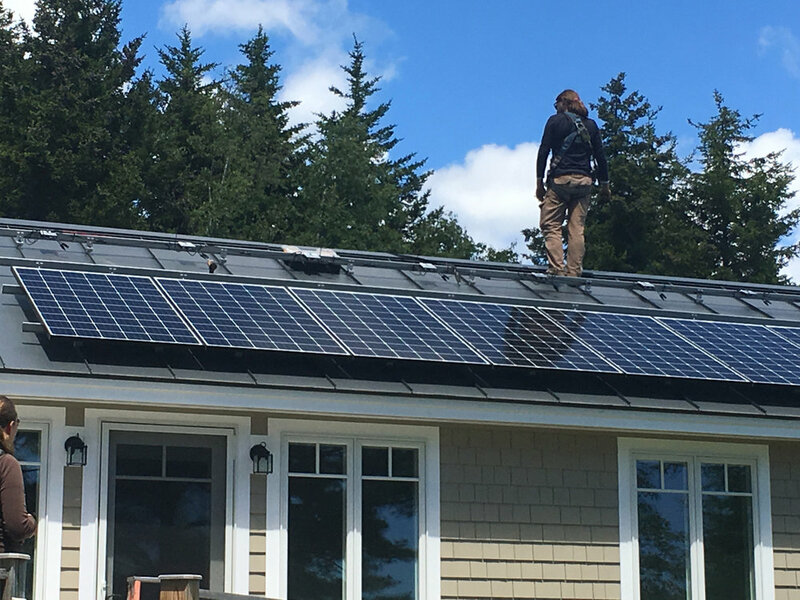 Insource Renewables provides consulting, design, and installation of solar energy systems for Maine homes and businesses. We utilize industry-leading practices in consumer education, design, and installation to provide customer-centered energy solutions that are built to last. Sign up for a free solar consultation. ReVision Energy has installed over 6,000 energy systems across Maine and northern New England, including solar, heat pumps, water heaters, and battery storage systems. An employee-owned company and certified B Corporation, ReVision was founded in 2003 and designs and installs systems for homeowners, businesses and non-profits. Sundog Solar designs, installs and maintains high quality, well price solar electric systems for homes and business'. We provide free site surveys and help our clients choose sustainably produced products for their projects. Our goal is to help Maine move away from fossil fuels through increased use of sustainable energy. Solarize MDI Doubled our Solar Capacity on MDI! In April, 2017, when we launched our Solarize MDI campaign, Mount Desert Island had a total installed capacity of 646 kW of solar photovoltaics - representing incremental growth over several decades. By our August 15 deadline, just four months later, we had secured 76 home, business, and municipality solar installation contracts totaling 643 kW through our Solarize MDI partner, Revision Energy! And, we saved 76 customers (see map below) over $160,000 on solar installs. Our thanks goes out to Bar Harbor Bank & Trust, our dedicated ACTT Volunteers, MDIslander, and everyone else who helped make Solarize MDI the most successful Solarize program in Maine! Now, with the addition of a solar array on a capped landfill in Tremont that serves the town and MDI High School set to come online in 2019, we will have more than tripled solar capacity by year’s end.